The Piedmont Housing Alliance (PHA) has partnered for years with VHDA in the greater Charlottesville area. This local housing organization uses VHDA grants and financing to support housing counseling and financial education, to connect homebuyers with low-interest mortgages and to build capacity for creating more affordable housing. Last year, with support from VHDA, PHA worked with 293 new housing counseling clients, provided monthly VHDA Homebuyer classes and financial education, helped 29 homebuyers with down payment assistance loans (totaling more than $660,000), and connected three homebuyers with low-interest VHDA CHRP mortgage loans. 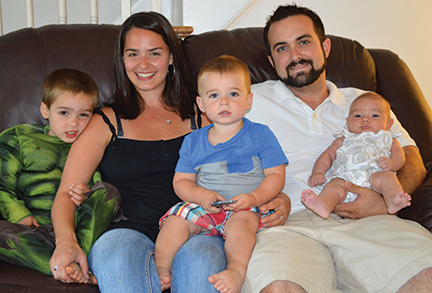 One family’s story: The Bost family didn’t have bad credit. They had no credit history and no savings. Using VHDA’s housing counseling training, PHA’s Jo Olson helped them develop a plan to save and create a positive credit history. When they were ready to buy a home, the Bosts had both savings and good credit, and just needed help with the down payment. For each success story, VHDA has been a critical partner with PHA, through our various products and resources. For instance, our Capacity Building grant has enabled PHA to concentrate resources on further strengthening its effectiveness. NeighborWorks Financial Capability training for each housing counselor. Certificates in Non-profit Management for PHA’s Executive Director and Deputy Director, resulting in an Impact Mapping Evaluation Plan and a High Impact Board Plan. Urban Land Institute training for housing development staff. For more information, contact Housing Education Director Kelly Gill-Gordon at 804-343-5534 or Kelly.Gill-Gordon@vhda.com.